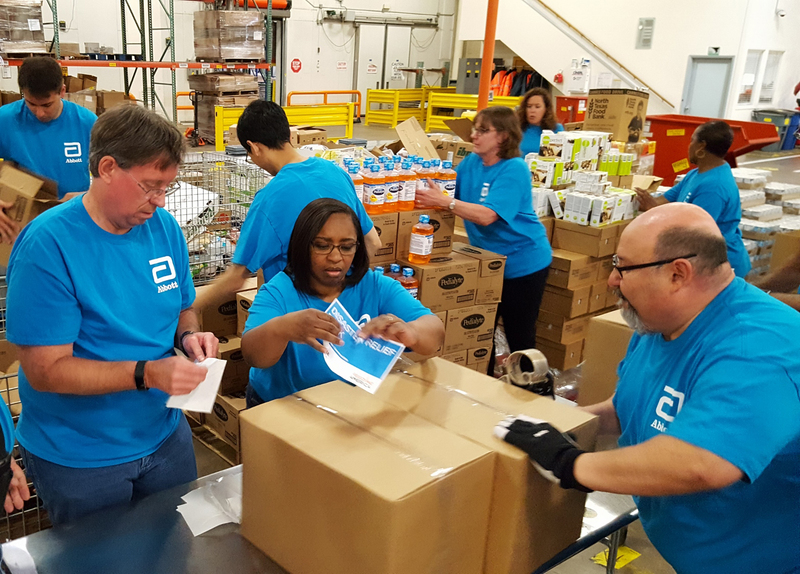 Abbott volunteers prepare 'disaster relief packs' for food banks prior to hurricane season. These packs helped communities respond quickly to hurricanes. For Hurricane Maria, Abbott and the Abbott Fund are providing $1 million in additional relief to help communities in Puerto Rico and other Caribbean islands affected by Hurricane Maria. Click here for more information. For the Mexico earthquakes, Abbott and the Abbott Fund are providing $1.25 million in relief. This includes $1 million in relief to help communities affected by the recent earthquake in Central Mexico, and $250,000 in earlier funding and product donations for relief efforts following the earthquake in Southern Mexico. Click here for more information. For more information on Abbott's support for relief efforts following Hurricanes Harvey and Irma, as well as proactive efforts to help communities to prepare for hurricane season, click here.